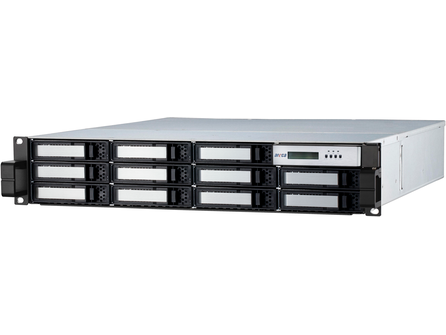 Thunderbolt technology is a revolutionary high-speed, dual protocol I/O technology designed for performance, simplicity and flexibility. 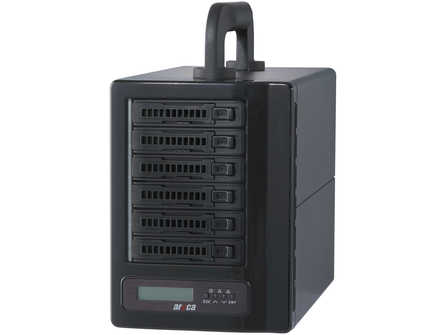 Thunderbolt I/O technology lets you move data between high-resolution displays and high-performance data devices on a single, compact port. Both data and display signals can be sent and received at the same time through dual 10 Gbps channels. A single cable attached to one of the ports provides 2 channels able to achieve the 10 Gbps speeds flowing both ways simultaneously. 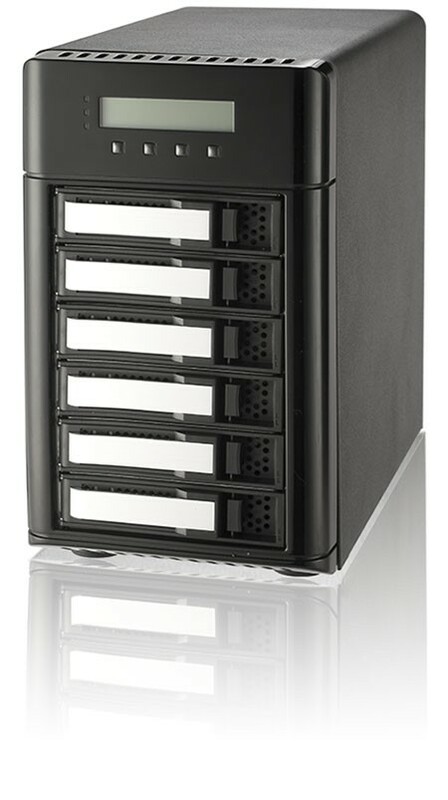 ARC-8050U3 is the most complete 12Gb/s SAS 4/6(M)/6/8/12-bay Thunderbolt™ 3 desktop SAS/SATA RAID storage with RAID control capabilities solution for both PC and Mac. 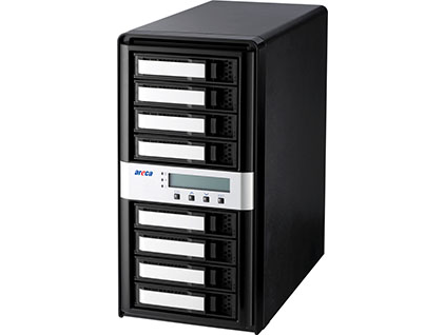 ARC-8050T3 is the most complete 12Gb/s SAS 4/6(M)/6/8/12-bay Thunderbolt™ 3 desktop SAS/SATA RAID storage with RAID control capabilities solution for both PC and Mac. 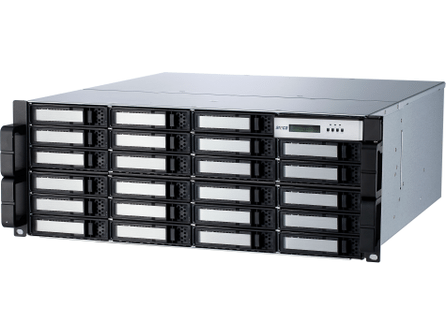 The Areca ARC-8050T3-24R rackmount is a 24-bay Thunderbolt 3 rackmount SAS/SATA RAID storage device with RAID control capabilities solution for both PC and Mac. 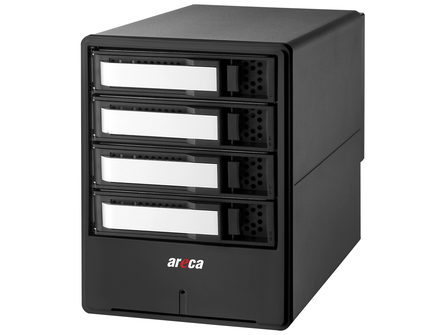 The Areca ARC-8050T3-12R rackmount is a 12-bay Thunderbolt 3 rackmount SAS/SATA RAID storage device with RAID control capabilities solution for both PC and Mac. 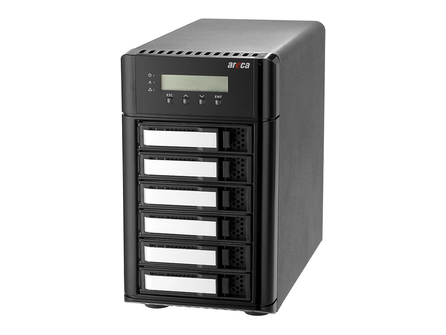 The ARC-8050T3-6 from Areca is the most complete 12Gb/s SAS 6-bay Thunderbolt 3 desktop RAID storage with RAID control capabilities solution for both PC and Mac. 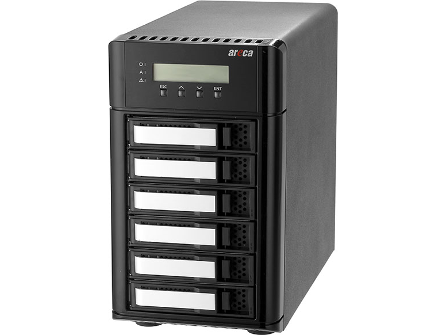 The ARC-8050T3-8 from Areca is the most complete 12Gb/s SAS 8-bay Thunderbolt 3 desktop RAID storage with RAID control capabilities solution for both PC and Mac. 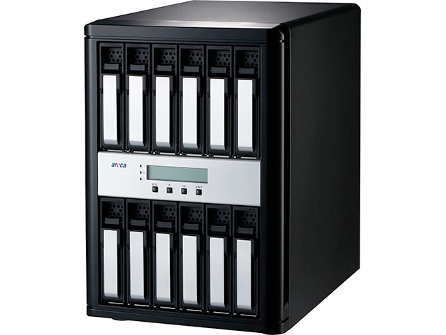 ARC-8050T3 SAN is one of the most complete 12Gb/s SAS 24-bay Thunderbolt™ 3 desktop SAS/SATA RAID storage with RAID control capabilities solution for both PC and Mac.